Inside Artswith Experiment Ionesco, directed by Ileana Gherghina. 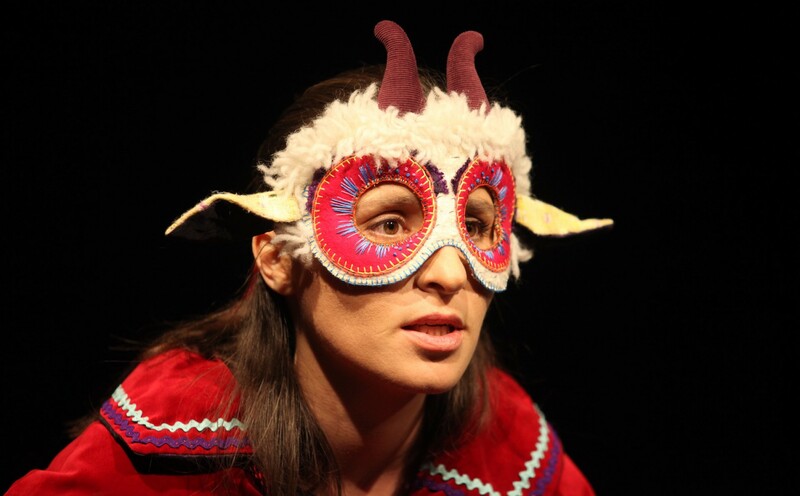 September – Stroud Theatre Festivalwith Experiment Ionesco, directed by: Ileana Gherghina. International Theatre Festival Craiova Romania, with Twelfth Nightproject (adaptation of W. Shakespeare’s Twelfth Night), directed by Prof Adrian Pintea. Fringe Sibiu International Theatre Festival – Sibiu, Romania, with The Rough Menby Carlo Goldoni, directed by Prof. Adrian Pintea. Sighisoara Medieval Art Festival – Sighisoara, Romania – with The Rough Menby Carlo Goldoni, directed by Prof Adrian Pintea. Arad Classical Theatre Festival– Arad, Romania – with The Rough Men, by Carlo Goldoni, directed by Prof Adrian Pintea. The National Theatre Sterija Popovic, Vrsac, Serbia. Loughborough University, UK – Workshop with drama students using the ”childlike” approach in theatre making. My research was focused on Directing, with an emphasis on defining my own creative technique, which I call the ‘childlike approach. Other courses I undertook were devising, alongside a scenography course and live art. I have also had a placement with the Arnolfini Contemporary Arts Centre in Bristol, where I participated in rehearsals and talks. My studies have included the Stanislavski technique (with Prof Venjiamin Filshtinski, from The Arts Academy, St. Petersburg), Commedia dell’Arte, Physical theatre, Poetry, Dramaturgy, Dario Fo technique, Theatre History, Acting for Screen, Philosophy, Psychology, Analysis of the Acting Processes. ‘Come with me, will you! I’m afraid to be there on my own!’ my neighbor T tells me one late evening. T’s Grandma had died the day before, alone in her little studio flat – somewhere a five minutes walk from where T and I lived. First floor of the block of flats: T pulls out the key, twists it in the lock and opens the door: a small, square hallway, which leads into the main room. Dark outside – dark inside: except a distant lamp post casting a frail orangey light uncertainly into the room. T pushes the light switch. I look around and I notice scarves and bits of textile, hanging in some places on the walls. ‘What are these for, T?’ I ask. ‘I covered the mirrors – her soul might see itself in the mirror and get scared’ says T.
My eyes are shifting from the colorful, flowery dress that Grandma is wearing, to the red glass-bead necklace, and on to her perfectly blackened hair, cut jaw-length and with the straightest fringe. Grandma looks like a priestess. T lights up a candle and five minutes pass of candle burning silently. T is ready to go. ‘Bye, Grandma! I’ll see you once again tomorrow!’ says T as she switches the light back off. The orangey light from the street again lazes into the room. One last look behind in the doorstep: Grandma remains there – absolutely still – and the orangey light seems this time to concentrate all on her immaculate fringe. This paper has been read by Mihai Florea at the Dialogues of Power Conference hosted by St Andrews University, Scotland, in October 2016. 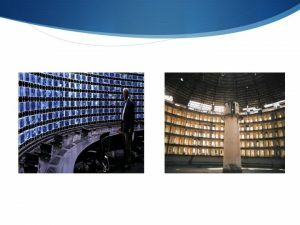 When Michel Foucault – in 1975, in Discipline and Punish – brought again to attention the concept of the Panopticon, he most probably did not have Romania in mind. Otherwise, he would have noted that – by that time – the entire country had already been transformed into a colossal architecture of terror, surveillance and self-surveillance: a country-become-prison-become-Panopticon. And when Foucault also was remarking that ‘Panopticism has received little attention. [And that] it is regarded as not much more than a bizarre little utopia, a perverse dream’, he very probably was not aware that somewhere in Europe, very close to him, panopticism had reached heights unforeseen even by its inventor, architect Jeremy Bentham. As a modality of power that uses ‘no instrument other than architecture and geometry’ [to] act directly on individuals [thus] giving ‘power of mind over mind’, the Panopticon is conceived as a series of spatial algorithms and arrangements, permitting someone to ‘see constantly and recognize immediately’. In Romania though, spatial arrangement was being used only as theatrical decor. Geometry and architecture had become only the echo of a very particular psychological and moral spatial organisation, emergent in-between citizens, within and in-between communities and families. Hidden behind the panoptical architecture, the Communist regime achieved the SPIRIT of the Panopticon in Romania: it managed to entrap the minds of the majority into a wall-less prison which stretched far behind architecture and into people’s conscience. According to historian Marius Oprea, it is estimated that in 1989 the Secret Services (Securitate) had over 400 000 active informers, a large part underage: they were informing about their colleagues, parents, teachers… Very few were therefore able or lucky to elude the mental Panopticon constructed by the ruling party: there were eyes watching you from everywhere, there were ears listening everywhere. No one could be trusted; anyone could turn into your denouncer. As such, one’s inner reality appeared organized like this: ‘I am constantly seen and can be immediately recognised.’ By 1989, the panoptical paranoia had totally gripped the country. Foucault observes that ‘generally speaking, all authorities exercising individual control function according to a double mode; that of binary division and branding (mad/sane; dangerous/harmless; normal/abnormal)’. The Communist regime, fully empowered by the fall of the Iron Curtain, started its work in earnest after 1945, seeking to replace an existent political and intellectual elite with a new one, patented and controlled by the Party. The course of action was in line with the overall politico-moral ambition of giving birth to the ‘new man’ – the monad of a new era of universal Communism. The party proceeded therefore in identifying two opposite ‘species’: the new man aka party activist aka ‘honest worker’ aka proletarian aka non-bourgeois aka citizen with a ‘clean’ working-class origin on the one hand and the BANDIT on the other. BANDIT became the term that defined (and I draw on Foucault’s terminology again) both the leprous and the plagued nature of the enemy of the newly established State (of things). BANDIT was a leprous who had to be extracted from the midst of the community and thrown to the margins. BANDIT was a plagued because there were only two outcomes envisaged for her: total elimination or brainwashing into absolute servitude towards the regime (which translated in personal annihilation too). As an immediate effect of this doctrine, the inter-war political elite (almost entirely exterminated in prisons after 1946), intellectuals (the members of the Romanian Academy for example – most of them also exterminated in prison), students, or peasants who opposed the confiscation of their lands in the great agricultural reform – all were deemed BANDITS and enemies of the State. The foundations of the hunt for BANDITS (hunt which was later to spread like a cannibalistic malady into the entire societal tissue) were laid during the terrible time of the late 40’s and early 50’s. In the context of this hunt, Experiment Pitesti represented the absolute climax of the State’s brutal repression of those who would not wholeheartedly believe in the religion of the ‘new man’. Pitesti was a prison used by Communists in 1951/1952 as the scene of a macabre experiment of brainwashing-through-torture, an experiment that Alexandr Soljenitan has singled out as being ‘the most terrible act of barbarism in the 20th century’. 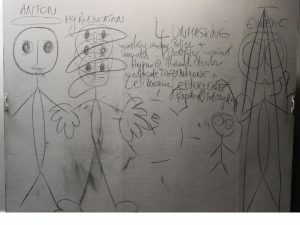 The working method of the experiment consisted of round-the-clock beatings, horrific tortures and ceaseless interrogatories, which would culminate with the ‘un-masking’ of BANDITS: a procedure of denouncing the ‘old self’ and telling on all friends, family, neighbours, collaborators, colleagues, etc. Once ‘re-educated’ in this way, the BANDITS would be forced to become themselves the torturers of other inmates. In 2006, when working on a documentary film about Nicolae Purcarea and therefore meeting the survivor of Pitesti Experiment in flesh and bones, I knew absolutely nothing about that part of Romania’s history. Nicolae Purcarea and his hi/story seemed to come from another country, from another history. The dialogue with Purcarea shed the first ever light on the Panopticon that I had been born into. It was only then that I started to become aware of my condition. The condition of being born within the realms of a Panopticon, which translated into a permanent state of suspicion towards everything and everybody. And that was my ‘dowry’ when I moved to Britain, in 2008. The suspiciousness had not vanished in 2015 when our theatre company (Nu Nu) applied for funding for the project Bandit and Churchill. Arts Council England is a powerful funding body: it is an institution that imparts money from the public purse to chosen artists/arts institutions. The issue of giving/receiving money automatically comes to play the decisive part in the relationship between artists and the Council. That is particularly true given the Arts Council’s explicit commitment to ensure money is well spent, with the expectation that the artist proves that the funded work is accessible to as many as possible, from as diverse as possible backgrounds. Is it justifiable for me then to wonder if the issue of giving/receiving money can become an instrument of power used by Arts Council to control and censor the artists? Or is that just the phantom of the Communist Panopticon coming back to haunt me, an independent theatre-maker, in 2015, in Britain? One capital factor taken into consideration by the Council (please note the choice of calling Arts Council the Council) when funding a project is that project’s capacity to generate ‘activities that are of high quality and engage people strongly.’ Keeping in line with the Panopticon metaphor though, could we interpret this demand of the Council as the first installment of an act of entrapment? The Council’s formulation appears to sarcastically invite the fund-seeker into that particular mind/imagination trap where undefined possibilities are emerging from within the fluid sphere of the generalness of ‘strong engagement of people’. The trap is set in motion in earnest when the applicant resonates to such undefined, or as Foucault describes them, ‘unverifiable’ requirements, whilst the non-visible eyes of the Council, from within its hidden offices are ready to scrutinize and censor the applicant’s choice. The Council encourages you to throw/expose/un-censor YOURSELF (via the ideas proposed) into the ‘unverifiable’ sea of general directives, requirements, standards and expectations. What the applicant often fails to understand or even notice is that the Council reserves the unique right to penalize you at any later stage (therefore exercise control over your application) with again ‘unverifiable’ criticism or rejection. Criticism and rejection that you could never have anticipated, since – apart from the general ‘geometry’ of the guidelines – you did not gain access to ‘true’, detailed, case-based assessment criteria. Such subsequent form of surveillance is possible only because the Council always reserves for itself the upper hand: we imagine that the Council (as the Castle in Kafka) might possess a more detailed set of criteria or indeed a certain machinery/mechanism, well hidden from the eyes of the applicant and which is implacably at work behind the curtains of magical formulations like ‘engage people strongly’ and so forth. The Council therefore exercises its mysteriousness, generalness and obscurity – through online-ness – as forms of power and surveillance. The applicant has to willy-nilly become captive in the Council’s panoptical narrative: a narrative whose backstage movements one can never fully know, nor can gain access to but can only imagine or anticipate (which is truly the most dangerous phase of control in the Panopticon). 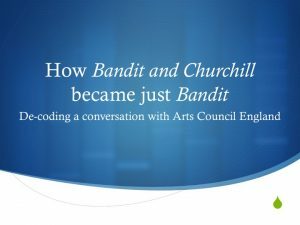 When we first applied with Bandit and Churchill, we became preoccupied with the issue of how a story from faraway lands could be made relevant and engaging for audiences from another century and from another corner, as the Council had instructed. As I mentioned before, the story of Bandits in Romania started with the inauspicious fall of the Iron Curtain. We found a striking irony there, which would link (in our view) the story of BANDIT to audiences in England, therefore helping us to fulfill the main requirement of the Council: public engagement. The Council’s requirement for public engagement had led us therefore to make the Churchill connection, in the hope of engaging the English-speaking audience. The Council was therefore de facto starting to gain ownership of our project. If it hadn’t been for the issue of funding, we would probably have disregarded the Churchill link. One other argument that we invoked was that, at the time of our application, in late 2015, the media had become oversaturated with negative stories about immigrants and how bad they were for society. 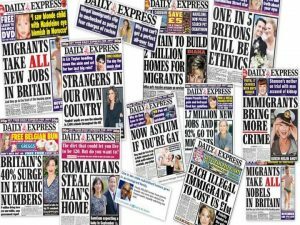 Newspapers like The Daily Express and Daily Mail were attacking migrants practically on a daily basis. We wanted our project to show (this was our argument in the funding application) that migrants might be coming to Britain for reasons beyond the immediate economic pull factors. Immigration is driven (so we argued) by much deeper causes, which are to be found in episodes like the one between Stalin and Churchill. 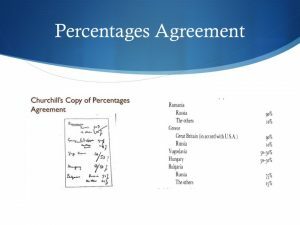 Our project – Bandit and Churchill – would have therefore signaled to audiences that we all needed to look deeper into the implications of historic decisions taken by national leaders on the international stage. If the applicant wants further explanations, there is the exceptional possibility of phoning, but the guidance clearly specifies that you might not be able to speak to the Council officer who made the actual case decision. A phone call might also be taken as a sign of harassment coming from a ‘sour grapes’/disappointed applicant’ (or so the applicants’ folklore has it). In the Bandit and Churchill case, the decision letter said: ‘We decided that the artistic and/or public engagement outcomes of your activity were less strong than other applications we received.’ The wording is evidently insufficient: first of all, one can imagine anything about who was the ‘we’ in ‘we decided’. Secondly, was it the ‘artistic outcomes’ only or both Artistic and public engagement outcomes’ that did not convince the Council? Was it then because we did not fit well with the aims of the Corporate Plan that we didn’t get the funding? No one – literally no one – can actually respond to that question. We did not know, in terms of the assessment of our funding application who was watching and assessing us, when, why or if they were paying any attention at all. Was it that we were just watching and assessing ourselves in the Foucauldian mechanicity of the fictional relationship with the Council? The rejection made us become stubborn and we applied again (retrospectively, we think that was a mistake). The second time, the answer was along the same lines. As in a Kafkaesque situation (again particularly evocative of ‘The Castle’), we started using our previous experience of dealing with Arts Council to interpret the exchange of messages we entertained with the council from ‘above’ – the Council was already conquering our memories! We had been previously awarded funding for another project (Billie Killer), on our second attempt. The first letter of response contained almost the same message as the one we received for Bandit and Churchill. With a significant little difference: a note, which we very rightly translated as the Council’s signal that if we correct what was indicated to us, we might then get the money. That note said: ‘we have noted the fact that this is an ambitious and imaginative project, but there is insufficient proof of how you will reach your audience. ‘ Please pay close attention to the first part of the phrase: ‘we have noted the fact that this is an ambitious and imaginative project’. It meant that the Council liked our Billie Killer and they were willing to fund it if we made the reccommended corrections. For Bandit and Churchill there has never been such a note. We finally had to concede, that if there was no note, it meant that our project would simply not get the funding. After such a long funding application adventure, we believe we have been lucky not to be awarded the money. 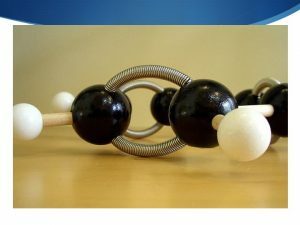 I have been intrigued by how atoms realise covalent bonds: the two nuclei, with their electrons gravitating around them. When atoms combine to work together in molecules they never melt their nuclei one into the other. Instead, they put to common use a number of electrons: some from one atom, some from the other. Panopticons never mix their control towers one into the other – instead they build bridges (like atoms do with their electrons). These bridges between Panopticons can run in all directions, up and down through history and histories, back and forth through time, people or geographies, arranging the networks of our lives. Bandit has emerged from one Panopticon (Romania, in post-Communism) and we very naively wanted to transfer it into the Arts Council’s and England’s Panopticon in the form of Bandit and Churchill. The combined forces of the two powerful Panopticons have kept us though on the ‘covalent’ bridge between them: we have returned to the initial project title of Bandit but not without having our minds shaped by the Arts Council’s panoptical forces. The problem of national heroes who make deals to save their country’s interests whilst sowing terror in the countries they leave behind – that theme has became part of Bandit, grace to the Council! 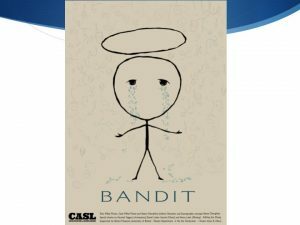 The theme of immigrants, refugees, the displaced, those who carry in them and with them the echoes of long histories of destruction and abandonment – that theme has also become part of Bandit, thanks to the Council! Bandit has been awarded the Biggest Punch in the Face award at Gothenburg Theatre Festival; it has received emotional responses from audiences and created vivid discussions. It has truly engaged people. It has made them pause and think. BANDIT lives on. 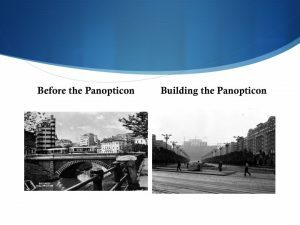 We have fulfilled the Council’s requirements of public engagement and yet we have remained on the bridge between Panopticons (ironically, there is more freedom there): we have been lucky! I can’t even remember where I met Paula. It was maybe at one of the gatherings where we used to sing. Paula was already 21 and I was something like 12 or 13. Paula was a Gypsy orphan, long distance adopted by a family from Germany. She went to visit them once or twice and came back loaded with clothes, Kinder chocolate, and stuff. We used to laugh our socks off when she was telling me that the family had no problem with farting at the dinner table. She kept her suitcases at my place and she would change at least four times a day, ruining my mother’s very sensitive nerves. One day I took her to the big choir and the conductor said that she was a genuine alto voice. He said she had a natural instinct to second sopranos and needed no training whatsoever because she had perfect pitch. She could second the sound of the air if she wanted. Paula had a limp and permanently needed shelter because she couldn’t sleep at the orphanage dormitories all the time, as she was over 18. Her voice had smoke in it, had warmth in it, had perfection in it and had that passion in it that Gypsies voices have. After I went to Uni, she kept on singing but then she met a guy and ‘ran away’ with him to the other side of the country. Had two kids and only later returned to our hometown. I met her once after, totally random, gave her some money and she told me how much she missed our laughing and singing. Her kids were now in care and she was still looking for a place to live. Paula, the thing I most sorry about is that the world hasn’t yet heard your voice. After the 1989 Revolution, Corso was the first place in my little hometown to make pizza. Corso was a confectionery built to the highest standards of ‘luxury’ by the Communists: the legend had it that during one of his tours of the country, Ceausescu dropped in to have some cake! After ’89, Corso had to adapt to the fast-changing economics of the ‘transition’ period, and amongst other clever manoeuvres, it started making pizza. Don’t let your imagination wander too far astray, thinking that the place got filled with people. On the contrary! On Sunday afternoons at least, it was always empty. The ladies @ Corso were intrigued by my culinary preference, so much so that the master confectioner herself once emerged from the kitchen: ‘Are you the boy who always asks us to make pizza for him? You like pizza, do you?’ And she maternally stroked my head. I think the ladies were pretty much improvising: quite a thick base (although always very tender), lots of tomato puree diluted with water to make it runnier, some frigid mushrooms and a little bit of cheese that would never properly melt, for some reason. And it always took ages and ages to make. I remember some lines from a play @ the National in Bucharest, end of the 90’s. I was rehearsing this big play, the main role, in an important theatre with a director that I did not like very much. In short, I was a bit miserable. In the cast, there was also this old actor, whom I thought was not bad: he was kind of slower now and again but I remember I always liked the way he used to say his lines. Being so distracted with my own ‘suffering’ I suppose, I did not actually notice when an idea emerged that the old actor was not that good and that he had to be booted out. One morning, we had a kind of meeting. The old actor was still in his dressing room. We were all sat here and there on stage and I really – but really – could not understand why everybody had those long faces, looking worried. Relative silence: we were all waiting for the old actor to come, as I later realised. After a few seconds, a long, elaborate, multi-faceted, sonorous, convoluted fart could be heard in the wings. I was the only one to sketch a smile. Everyone else was dead serious. The old actor appears on stage. We all pretend nothing happened. The director starts saying all kinds of crap – from what he was saying I did not understand there was a problem at all – and suddenly I see the old actor changing colour, going horribly faint and angry at the same time, starting to say how he had worked in that theatre for ages, how he had always been nice to everyone, etc. When I finally started to understand, the old actor was acting like taking his things, although he had nothing there, on stage: all his stuff was in the dressing room. When I was about ten or eleven, I used to go to church on Sundays and other religious holidays. I had seen some American religious cartoons on TV and that got me hooked. The parish priest grew to trust me so much that he gave me the keys to the church, to open it in the mornings. The church was 2 minutes away from my house, so almost every Sunday I would wake up at six in the morning and rush to open the church (although services started at eight). My job was then to switch on all the lights, including in the altar, which was the most sacred of the sacred. I would then have to take a ladder and light up the oil candle burners hanging over the big icons of the wooden reredos. Sometimes I would clean the candelabra too. The church was undergoing major repairs: they were re-doing the interior painting and there was scaffolding in some parts. The next-door chapel, designed to keep the deceased before their funeral, was still under construction. So the dead ones had to be kept in the narthex of the church. One Sunday morning, around the usual six o’clock, I opened the big church door to discover a coffin, most probably brought in on the Saturday evening. It was dark outside, very dark in the narthex as well, but I did not feel scared. As I turned on the lights, I saw the body of the deceased resting there, on the left hand side of the church entrance. It was a man, not very old I thought, dressed in a grey-greenish suit and wearing a grey hat. And of course, the yellowish-brown, earth-like colour of the skin. He had cotton in his nose – both nostrils. A strange feeling of mutual confidence appeared between the deceased and me. I kept on doing my jobs whilst he kept silent there in the narthex. The cotton in the nose had become our seal of concord.